Planning to see the new How To Train Your Dragon Movie? If so, consider going to see it 3 weeks before its official opening with the Fandango VIP Early Access ticket! The movie will be shown at 3 p.m. on Saturday, February 2nd in select theaters. 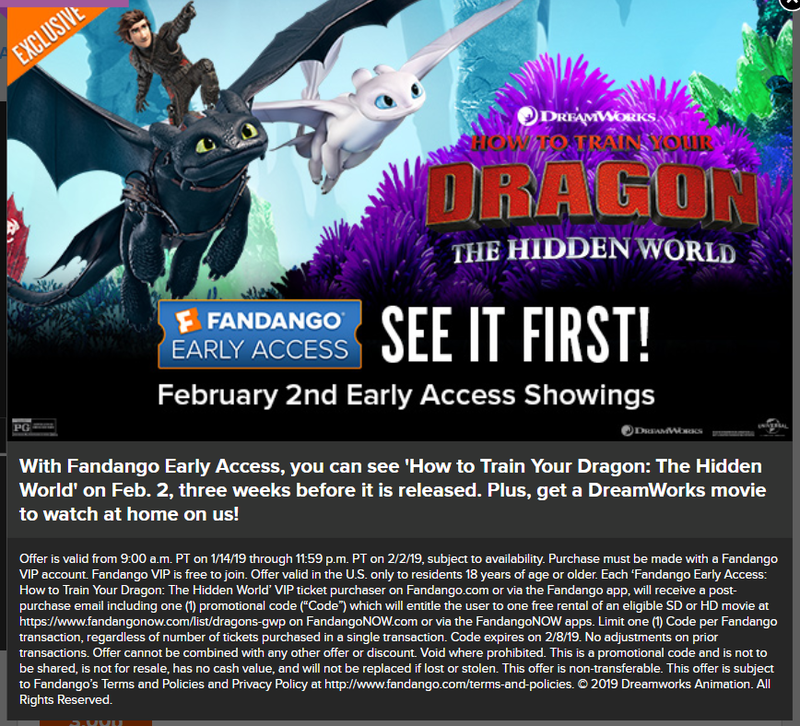 Plus for a limited time, when you buy this early access admission you will receive a free movie to rent from Fandango Now. Head over here to sign into your Fandango account and read more about the offer.